Regular 2019 classes resume in Jan and Feb. Please check timetable for start dates . 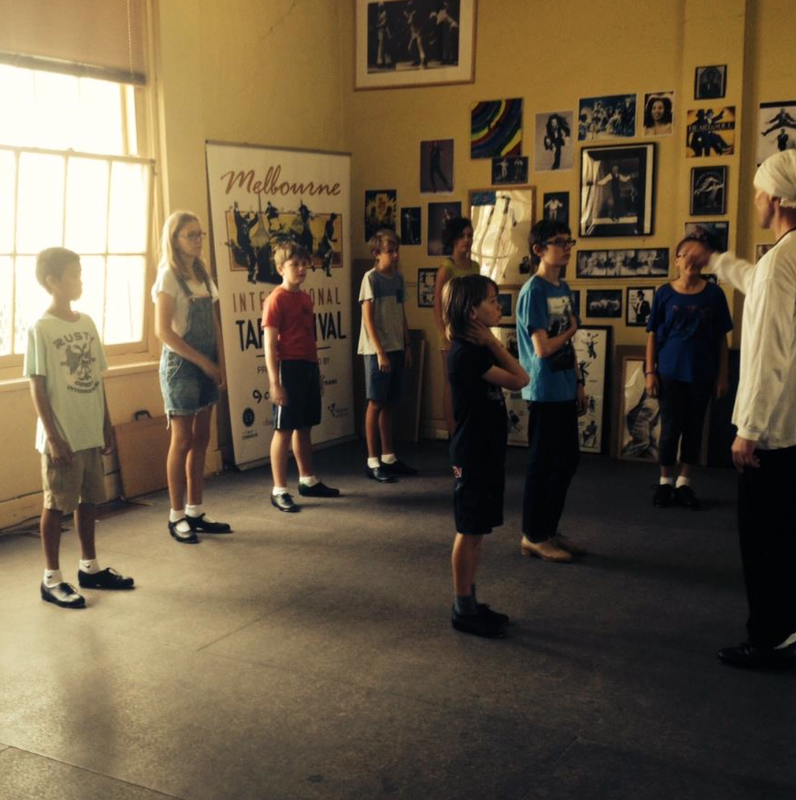 Our tap dance classes in Melbourne are taught by Grant Swift, Harry and Oscar Swift, and Thomas Wadelton, in our St Kilda studios. We welcome kids and adults of any age and any level of experience. 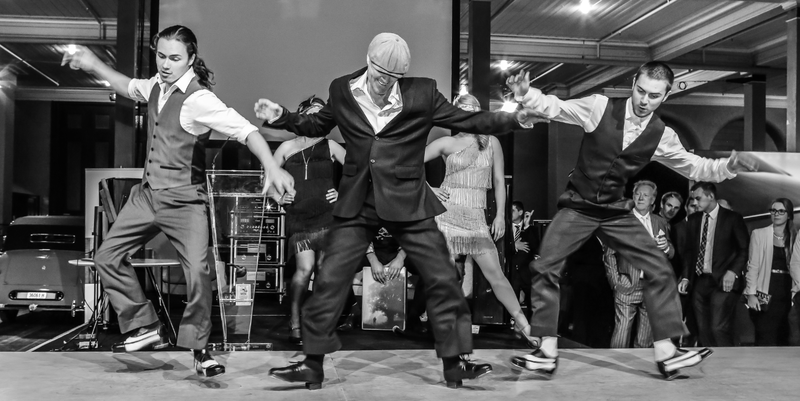 So if you’re an absolute beginner, or a professional dancer looking to take your tap to the next level, we’ll have a class to suit you. We don’t have a uniform. We don’t teach syllabus. 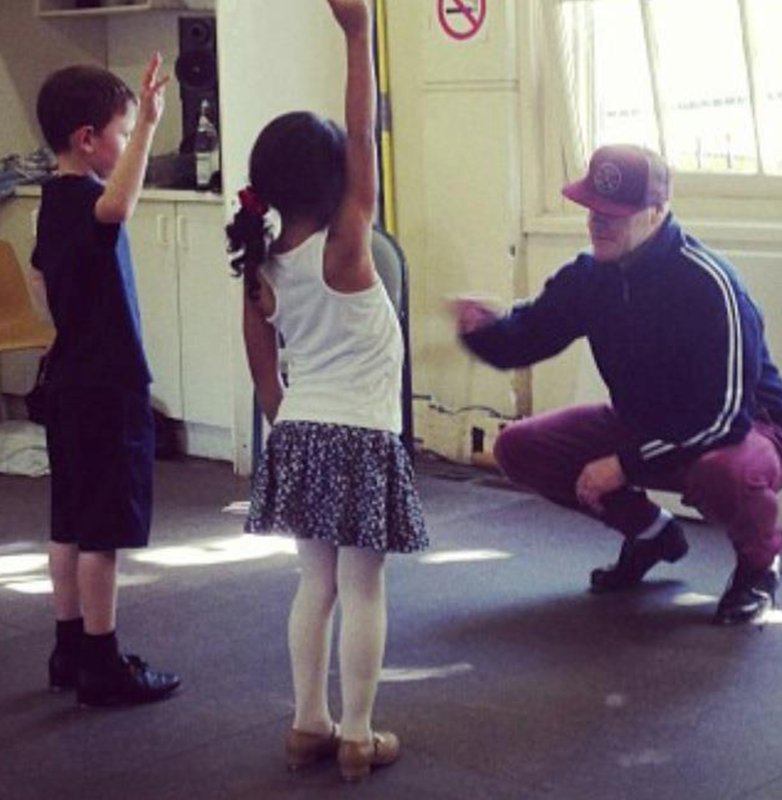 We just teach tap. 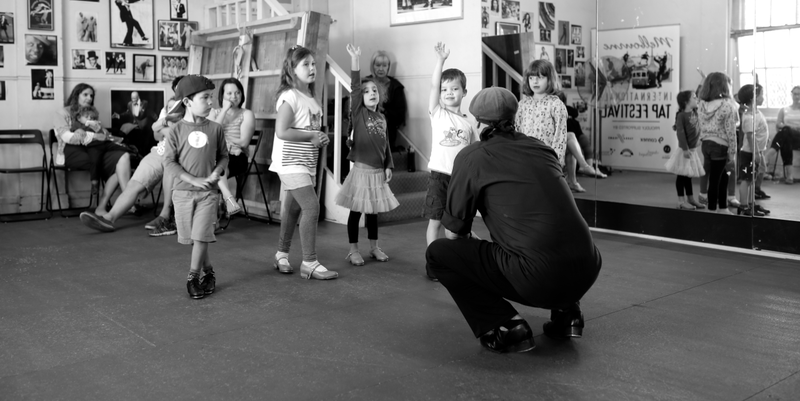 And with a focus on rhythm, and tap roots education, even our littlest tap kids can hold their own in a jam circle before too long. Classes run on a casual basis, with no lock in term fees. Feel free to drop into a class anytime, introduce yourself and just soak up the atmosphere. We suggest dressing for class in relaxed comfortable clothing (no dance attire required! ), and it’s ok if you don’t have a pair of tap shoes straight away. How do I know which class would suit me best? Feel free to email us at info@rythmtapmelbourne.com or call Grant on 0435222925 to talk about which class would suit you or your child best. Do I have to pay for a whole term up front? No, payments are taken at each class, and there’s no need to pay for classes that you don’t attend. Do you offer a free trial lesson? You are welcome to come and try a class with no commitment to continue, but we do ask that you pay for this lesson. What are the age ranges of students in the adult classes, am I too old?! No, you are not too old. In our adult classes our students have ranged from teens to those in their 70′s! Normally, it’s a mixed bag of ages, somewhere in the middle. Everyone is welcome. I can’t find kids age groups listed on your timetable, which age group will my child fit into? We don’t group our classes based on age, but rather experience and ability. Teens from 14 up are generally able to join adult classes, but we have no strict rules about this. 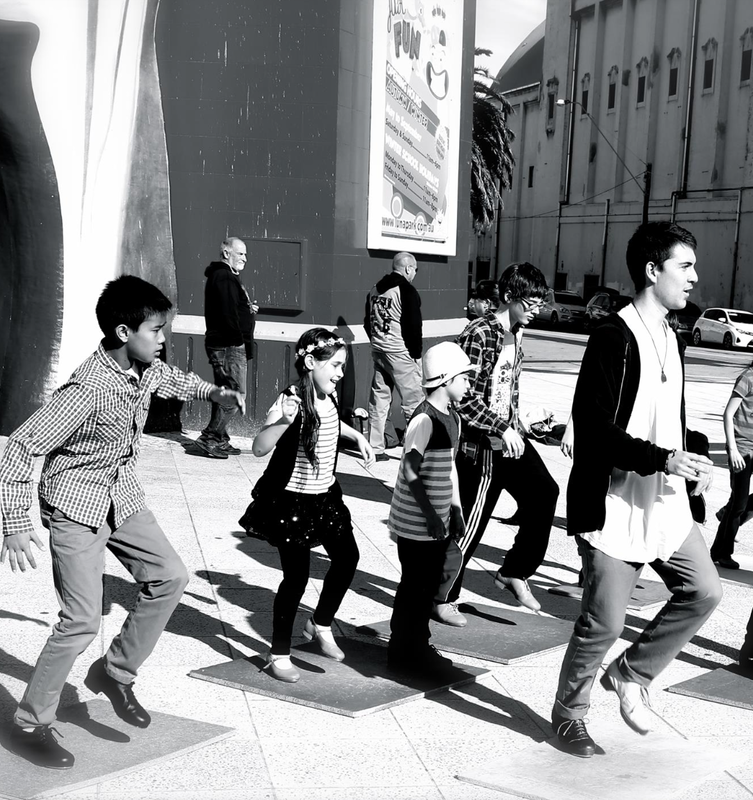 We are happy to advise which class would be the best starting place for your child or teen. Do you have compulsory concert, examinations or competition requirements for children? Absolutely not. We have no examinations or competitions. 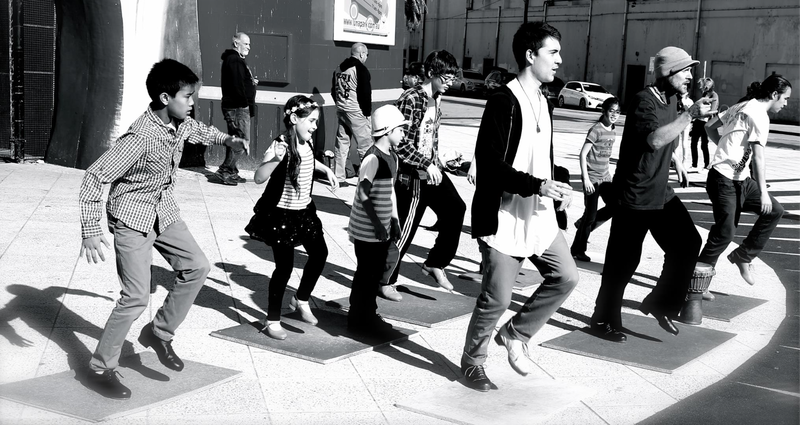 Any performance opportunities that arise during the year will be entirely voluntary, and more likely street performance, community festival participations, or student get togethers at our studio. We have no fixed, annual concert and none of the associated fees and costs. We like to keep it stress free and fun. Do I need tap shoes on my first lesson? I’d like to try a class before I buy tap shoes. No you don’t need tap shoes when you’re just starting out. We recommend a shoe with a hard, flat sole. Men’s leather work shoes are great, women’s ballet flats, flat soled sneakers are ok too. Cushioned running shoes can be hard to tap dance in. I’m an adult, what should I wear to class? We have no uniform and no speciality dance wear is required. We recommend something casual that you feel good in, are comfortable to move in, and happy to sweat in. Some adult students wear gym gear, others just casual clothes, others come straight to class in their work clothes. We really don’t mind. 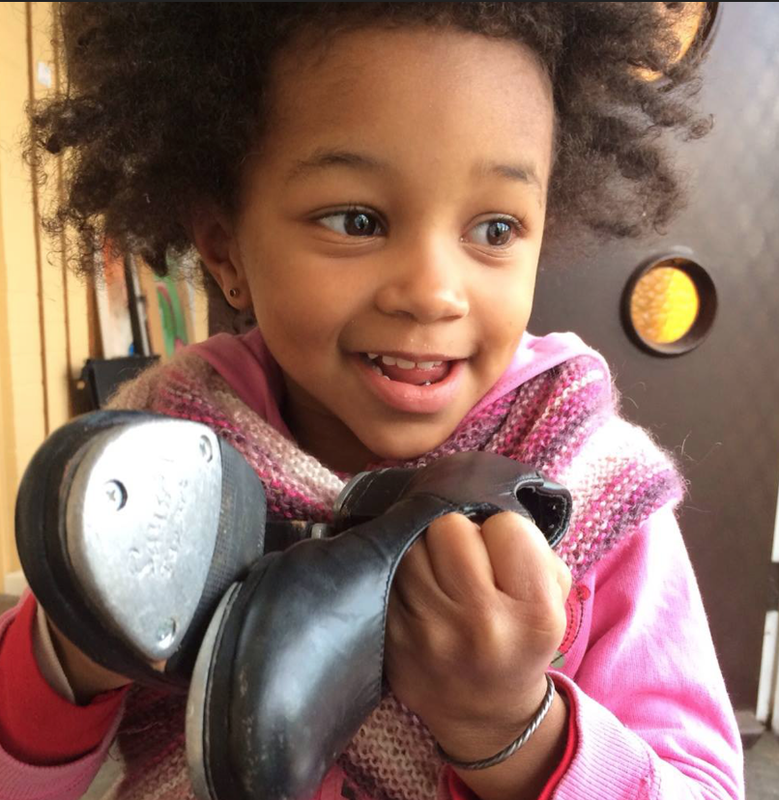 I’m sending my child to tap class, what should I dress them in? We don’t have a uniform and no speciality dance wear required. Lots of our kids come to class after school in their school uniform, which is fine by us, others come in casual clothes. All we ask is that clothing doesn’t restrict your child’s movement, and that your child is wearing something that they feel good in. Personal expression is always welcome. I think I’d like to try private lessons, can this be arranged? Yes, we do offer private lessons. Please get in touch to enquire about hours of availability. Need some more info? Please feel free to CONTACT US.